Charlottesville After A Year: Repression Of Unite The Right Rally Just The Beginning—Can Historic America Nation Survive? It’s surreal to have lived through an event that is even now being mythologized. It’s nothing short of infuriating to see a mythology growing up that is almost an exact opposite of what actually happened. The lies being told about what happened at the Unite the Right rally in Charlottesville VA a year ago this weekend are so outrageous and so demonstrably untrue that it makes you question all of history. What other historical events and movements have we been lied to about? And can you prop up an entire failing system based on lies? 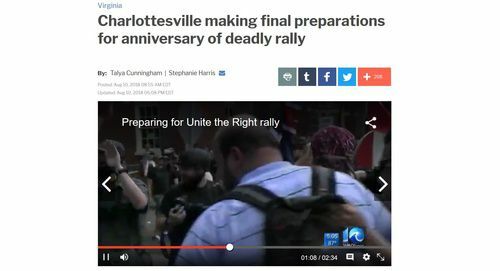 Main Stream Media coverage throughout the country is being dominated by commemorations of the ill-fated rally [Charlottesville making final preparations for anniversary of deadly rally, by Talya Cunningham, WAVY, August 10, 2018]. The media is also eagerly hyping the second “Unite the Right 2” rally in front of the White House even though few participants in the original rally seem to be going [It’s right there in front of the White House.’: Is D.C. ready for Unite the Right? By Caroline Simon, USA Today, August 10, 2018]. The obvious intention: to claim the Alt Right has been defeated after almost no one shows up. But it’s more likely that patriots have simply learned their lesson: not to put their trust in the law, the police, or the First Amendment. Flagrantly-biased law enforcement since last August has convinced many on the Dissident Right that they not only will not be defended by police, they will not even be permitted to defend themselves. Since the release of the Heaphy Report on the events in Charlottesville, it has been undeniable that the local police department deliberately fostered a climate of instability and unrest so it would have an excuse to shut down the rally. This chaos culminated with James Fields driving into a crowd of screaming protesters, an act which led to the death of Heather Heyer, now being celebrated as a martyr. Of course, as Ann Coulter bravely pointed out earlier this week, Fields had good reason to fear for his life. In the end, he may well be acquitted like George Zimmerman or found guilty of a lesser offense—unless, as Coulter half-joked, “his defense lawyer is planning on intentionally throwing the case for the greater good.” Of course, if Fields is acquitted, we can probably expect another riot. Aside from VDARE.com, no media outlets seem curious about the questionable cases being brought against defendants who are still jailed in Charlottesville—even as “anti-fascist” protesters caught on tape engaged in violence are let off scot free. Even more serious: this double standard seems to be spreading across the country. Eric Clanton, a college professor caught on tape hitting people with a bike lock in Berkeley last spring, was let go with only probation. Somehow, no one died. He probably would never have been arrested at all if online activists at /pol hadn’t done the job the cops didn’t want to do and actually investigated these assaults. Establishment reporters seem remarkably uninterested in confronting city and state officials to demand answers about why a climate of violence was deliberately cultivated in Charlottesville—including by Antifa against reporters [Female reporter for The Hill allegedly punched by ‘antifa’ protester in Charlottesville, by Adam Shaw, Breitbart, August 12, 2017]. Instead, the “free press” that constantly brags to us about its role in curbing the powerful is doing things like hunting down pizza delivery guys with far more moderate views than the newest member of The New York Times Editorial Board[When the pizza delivery guy is also ‘Nazi Bob,’ by Matt Viser, Boston Globe, November 18, 2017]. 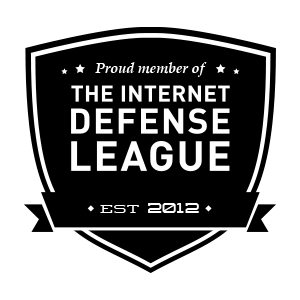 Over the last year, this has also meant a concerted effort to dox and economically destroy people for simply commenting on unapproved websites [Dov Bechhofer Did Nothing Wrong, by Greg Johnson, Counter-Currents, August 1, 2018]. This blunt exercise of power is especially disgusting as journalists continue to pose as martyrs because President Trump has criticized their dishonest tactics [Newspaper calls for war of words against Trump media attacks, by Bob Salsberg, Associated Press, August 10, 2018]. In contrast, as opposed to the hypothetical violence supposedly encouraged by President Trump, reporters seem totally comfortable with the long record of physical attacks on journalists by Antifa in the recent past [Physical assault on journalists’ rap sheet reveal antifa: 10—Trump Supporters: 0, by John Nolte, Breitbart, August 31, 2017]. Of course, as it is Antifa who create the violent conditions at any patriot protest. Police restraint only fuels chaos, as the antifa then turn their destructive tendencies on the larger community, as they did on Inauguration Day. Since the tragedy of Charlottesville, America has experienced anarcho-tyranny on a mass scale. In a classic example of victim-blaming, Unite The Right was exploited not just to enable a crackdown on public Alt Right demonstrations, but even on the expression of opinion online. What’s more, as shown by the recent deplatforming of Alex Jones and one-time VDARE.com contributor Gavin McInnes, more recently founder of the explicitly multicultural (and pro-Israel) Proud Boys, the censorship is expanding to targets that have nothing to do with race. The campaign is also being cheered on by System media outlets, most of whom are urging that more targets be taken down [Deplatforming works, Motherboard, August 10, 2018]. Ultimately, it will extend even to “mainstream” hosts with large audiences. CNN, which played a large part in promoting the anti-Jones campaign, is now targeting Laura Ingraham and Tucker Carlson for supposedly giving a voice to “white anxiety” [White anxiety finds a home at Fox News, by Tom Kludt and Brian Stelter, CNN, August 9, 2018]. It’s no exaggeration to say that most journalists see their job as shutting up other people they disagree with. The line between “journalist” and SPLC apparatchik is practically nonexistent. 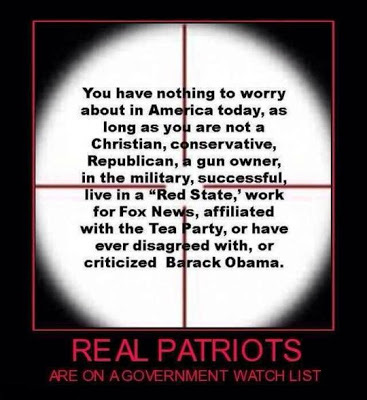 It can be expected that most Establishment conservatives will do nothing to oppose this. allegedly because much of the censorship is perpetrated by ostensibly “private” institutions. However, even that may not be true much longer: Senate Democrats, using the excuse of “Russian disinformation” campaigns, are already circulating a memo that would establish more government control over Internet content, including the de facto end of online anonymity [Senate Democrats Are Circulating Plans for Government Takeover of the Internet: Reason Roundup, by Elizabeth Nolan Brown, Reason, July 31, 2018]. Slowly, America is moving toward a system where only favored groups will be allowed to express their opinion. Arguably, America is already at the point where groups such as Antifa simply do not have to obey the law at all, while ruinous lawsuits and “lawfare” are unleashed against conservative groups. However, because of the nature of far-Left groups, and the high level of frenzy needed to keep the campaign against the Alt Right going, it is practically guaranteed the climate is going to grow more hysterical in the future, regardless of whether patriots continue to take to the streets or not. The end result: a country that increasingly seems on the brink of madness as it is gaslighted by a media growing ever more shrill. America is being put on a permanent war footing—and the enemy its people are being mobilized against is the historic American nation, those European-Americans who live this country and its heritage. President Trump, who seems to have far less power over this country than do the media and technology conglomerates, must act forcefully to ensure freedom of speech and the objective rule of law is re-established. Otherwise, if there is ever a true history of the United States, Unite the Right in Charlottesville will be remembered as the day America truly came under enemy occupation.